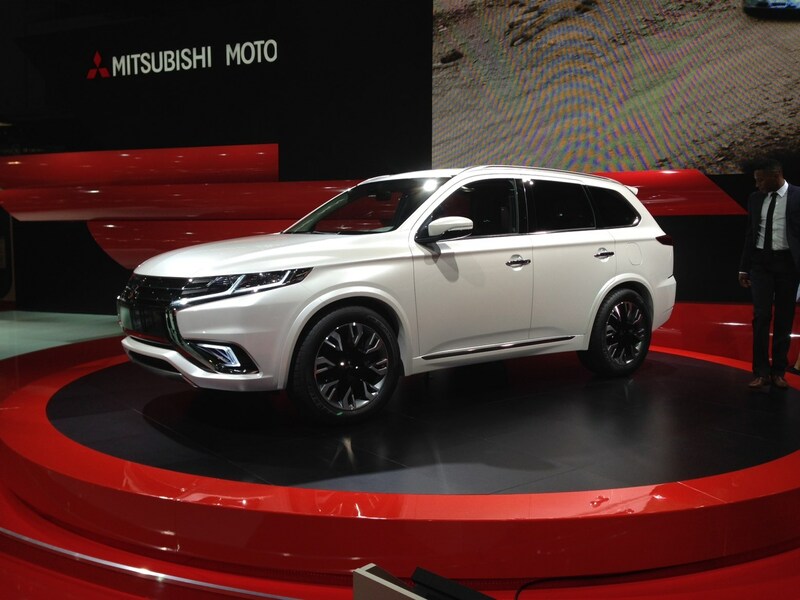 Standing out on the Mitsubishi display was a car that looks strangely similar to the firm's production Outlander. The Concept-S represents a design study for the production Outlander PHEV plug-in hybrid - a car that's capable of official CO2 emissions as low as 44g/km and fuel economy of a claimed 148mpg. A 'sporty and sophisticated' theme is the general idea, with a redesigned front bumper along with wrap-around headlights the main changes at the front of the vehicle. The rear gets chrome accents too, while the 'platinum white' paintjob has a glass flake finish. Inside the colour theme is 'Black and Burgundy'. You get black wood grain, silver accents and black laquered boxes make up the central console. Hand-stitched leather seats complete the package.